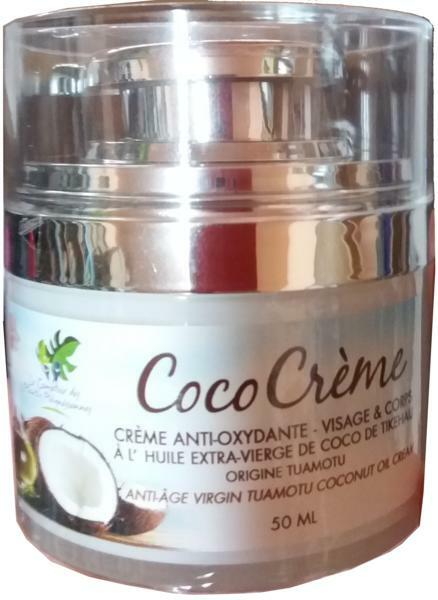 The coconut cream is formulated with 30% virgin coconut oil obtained on the Tikehau atoll, in Tuamotu islands, by centrifuging cold pressed coconut milk. Thanks to its antioxidant properties, it protects, nourishes and moisturizes the skin by fighting against aging. Capacity: Jar of 50 ml / 1.76 Fl.oz - To be retained without limit after opening thanks to its airless closing system with pump.